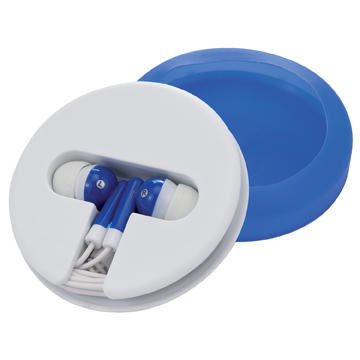 A pair of earphones contained within a handy plastic case. The soft-feel silicone sleeve is easily removed and protects the earphones when not in use. The white central area offers a large branding area for your company message and is available with full colour digital print (at extra cost).